Desi Smith/Staff Photo. 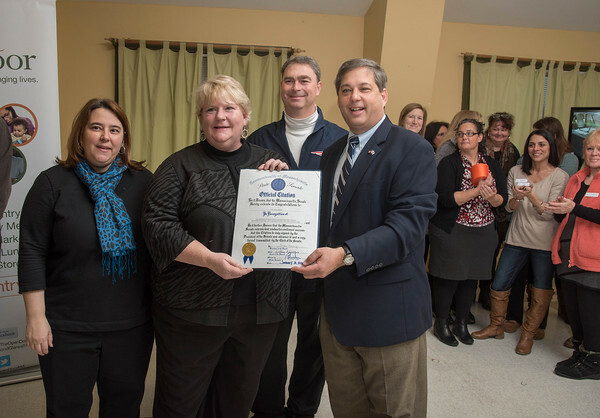 Executive Director Julie Lafontaine of The Open Door is handed a Offical Citation from State Senator Bruce Tarr, as State Representative Ann Margaret Ferrante and Representative Brad Hill joined in for a photo during a commuinty wide ribbon-cutting of a 200 foot ribbon at The Open Door Saturday morning as it celebrates the newely expanded food pantry. January 16,2016.